According to the author, this one is quite a quick and effortless design for a freehanded option, which makes it perfect for a beginner to try. 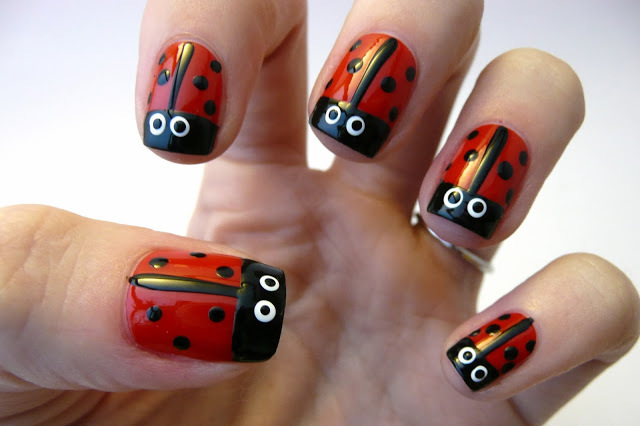 And, there’s no doubt about how popular the concept of ladybugs is, with its cute dots and stripes when it comes to splashing some color onto your nails. Reaching the finished product is just a deal of a handful of easy-to-follow steps, and a few easily available supplies, including a black nail paint, a striper brush, a red enamel, a dotting tool, and a white nail paint. Check out the detailed tutorial by Casa De Polish.